As I was leaving my camping spot in the morning I looked back at the sign and saw a tent symbol on it it was a legal campground! I thought I was stealth camping. Finally got away from the busy traffic and on to some quiet roads. Pulled off the road at one point and was greeted by a van all decked out as a SAG wagon for Bike Florida. 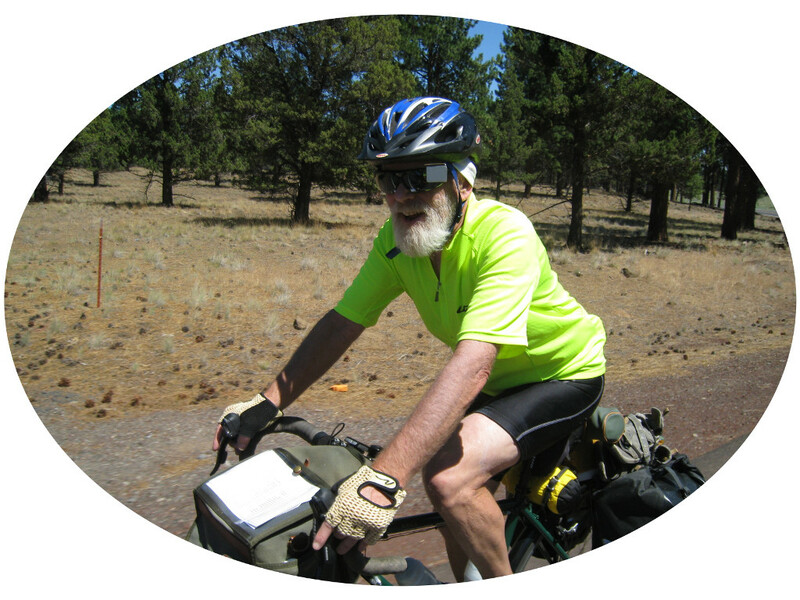 They put on a multi day ride along the lines of Cycle Oregon. They were out scouting the route. 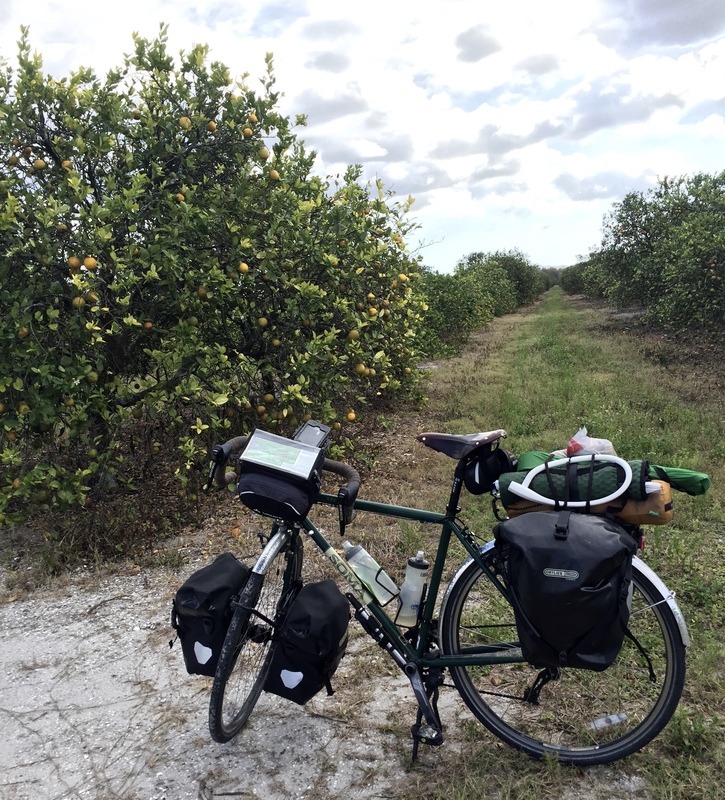 It was a gas to reach the orange groves. They were small at first but later got much larger. The trees were fairly small as well. I resisted the temptation for some time but eventually gave in and picked one. It was very juicy and sweet, but not an eating orange. I guess they all go for juice. Later in the day I saw some big trucks filled with oranges and then (with Tom in his truck) passed the Peace River Citrus processing plant where they had huge bins full of them. I had told Tom to meet me in Wauchula at 4:00 but I got there well before 3. There was a sign coming in to town saying "State Academic Champions" and listed a bunch of years. I stopped at a convenience store and the cashier asked me where I was from. I said Oregon and she gave me a blank stare. She had grown up in this town but had never heard of Oregon. Wauchula seemed like a nice town though, with a large Hispanic population. I hung out in a nice little park and waited for Tom. When he arrived we loaded up my bike in his truck and headed to Tampa, where I would spend two nights with Tom and his cousin Sandy. I was happy when I got to the orange groves.